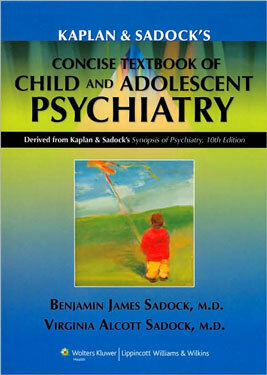 This book presents updated clinical material on child and adolescent psychiatry from the best-selling Kaplan and Sadock's Synopsis of Psychiatry, Tenth Edition. Coverage includes clinically relevant information on normal and abnormal development; examination; neuroimaging; learning, communication and behavioral disorders; adolescent substance abuse; forensic issues; and the spectrum of psychiatric problems such as depression and bipolar disorders. Treatment chapters include a broad range of psychopharmacotherapeutic and psychotherapeutic techniques, and the many controversies related to appropriate use of medication in children are addressed. The book is DSM-IV-TR compatible and replete with case studies and tables, including DSM-IV-TR tables.